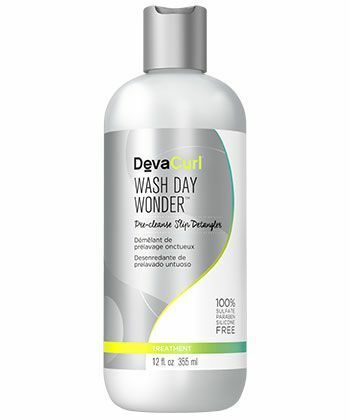 Wash Day Wonder is a light, pre-cleanse detangling treatment formulated to make wash day easier. Pracaxi oil gives this treatment the slip to work through tangles, knots or matted curls. Saffron flower extract and a natural sugar-based technology make curls supple and strong to prevent breakage while detangling. Before cleansing, apply Wash Day Wonder to soaking wet curls until saturated, then finger detangle to remove knots. Cleanse with a sulfate-free cleanser to remove the product, and condition as you normally would. 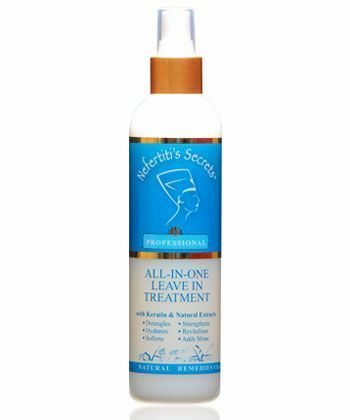 Nefertiti’s Secrets® All-In-One Leave In Treatment is a lightweight, humidity resistant leave-in containing natural extracts of sage, rosemary, horsetail, and nettles to soften, strengthen, and stimulate new hair growth. Use it on wash day to provide your curls with vital nutrients, essential vitamins and minerals, and as a refresher on second and third day hair and beyond. It can also be applied to the scalp to stimulate growth and soothe dryness. Strengthening keratin protein makes this formula ideal for damaged hair and split ends. 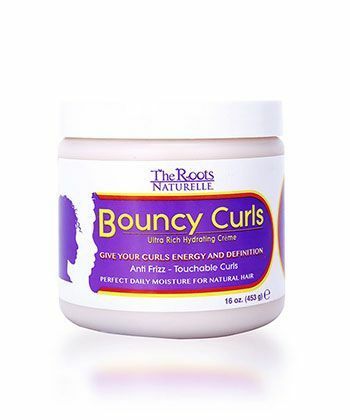 Bouncy Curls is an ultra rich, hydrating cream formulated with olive and grape seed oils and aloe vera extract to create soft touchable curl definition. Fight frizz and protect your strands while nourishing your curls with grape seed oil, aloe vera extract, jojoba oil, shea butter, wheat germ oil, coconut oil and olive oil. Apply Bouncy Curls to wet hair while styling and allow your hair to air dry for your daily dose of moisture and definition. 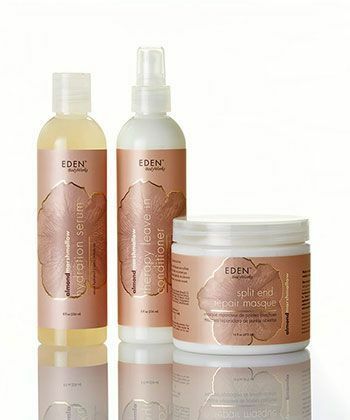 The new EDEN BodyWorks Sweet Almond Oil and Marshmallow Root Extract Collection is a treatment trio formulated to seal in moisture, drive away damage, and improve split ends. The trio is packed with vitamins and antioxidants to soften your strands in just 3 steps. Deep treat your curls with the Split End Repair Masque, protect your curls with the silicone-free Almond Marshmallow Hydration Serum, and moisturize with the Almond Marshmallow Therapy Leave In Conditioner. Nourish dry, brittle strands to strengthen your hair and prevent additional damage.